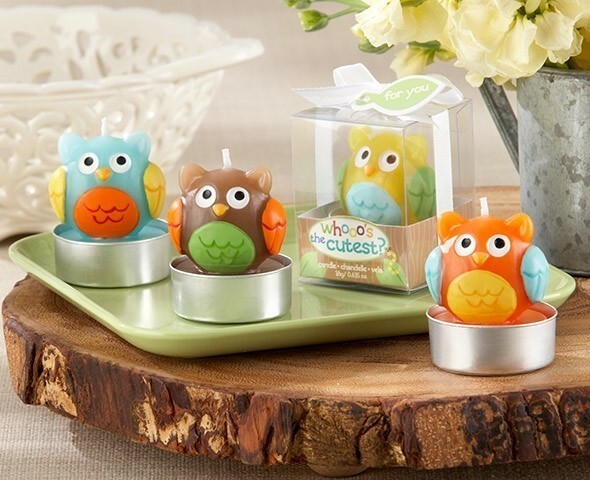 These adorable baby owl tealight candles come in four assorted colors (orange, light blue, yellow and brown) and each is in its own gift-box! Coordinates with Cute Owlets-On-Tree-Stumps Placecard/Picture Holders (Product Code: AK-25108AS) and Favor Boxes (Product Code: AK-28148NA). PLEASE NOTE: Sold as a set of four (4) and prices quoted below are per set.